I CANNOT FIND MY TICKETS, IS IT POSSIBLE TO RESEND THEM? You can easily retrieve your tickets using the tool below. Login into your bank account and find the payment you made to buy the tickets. In the payment description you will find a 16 digits “payment number”, copy that number below together with the email you used to make the order. I HAVEN’T RECEIVED AN EMAIL AFTER MY ORDER, WHAT SHOULD I DO? WHAT SHOULD I DO IF THE TRANSACTION WAS DENIED? IS IT NECESSARY TO PRINT MY TICKET? WHAT SHOULD I DO IF I LOST MY TICKET OR IT GOT STOLEN? 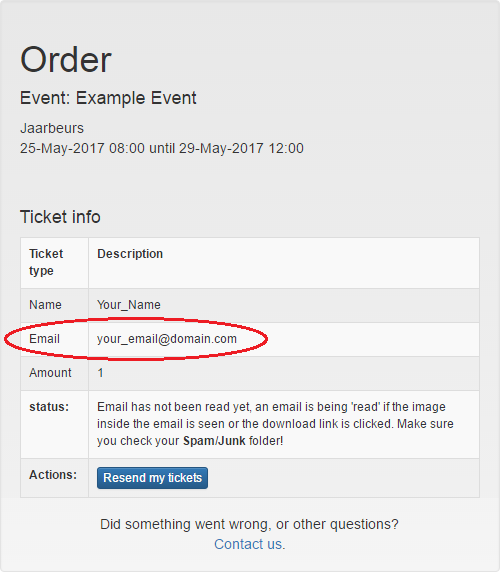 If you just cannot find the email with your ticket anymore, you can easily download your ticket using this tool. THERE ARE NO MORE TICKETS AVAILABLE FOR AN EVENT, WHAT CAN I DO? CAN I CANCEL OR CHANGE MY TICKETS? THE EVENT WAS CANCELLED, WHAT’S GONNA HAPPEN NOW? Didn’t find an answer to your question? Ask us here!